Posted by starsandcars in books, movies. Master suspense/horror writer Stephen King has had a long and rich career spinning dark and disturbing tales which keep readers awake at night. In his 1983 novel Christine, King applied his talents and brought to life a horrifying character– a car! 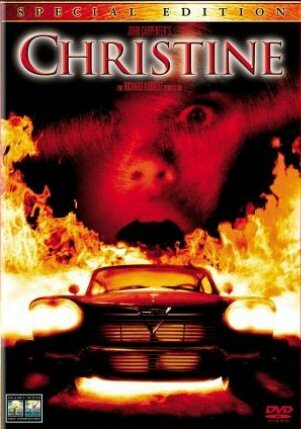 The car, Christine, is possessed, and it occasionally goes on murderous rampages. It gains influence over its new owner, a nerd named Arnie, and wreaks havok through his small town. Those who haven’t read the book may have seen the movie adaption 1983 and felt the malevolence that the car emanated…. 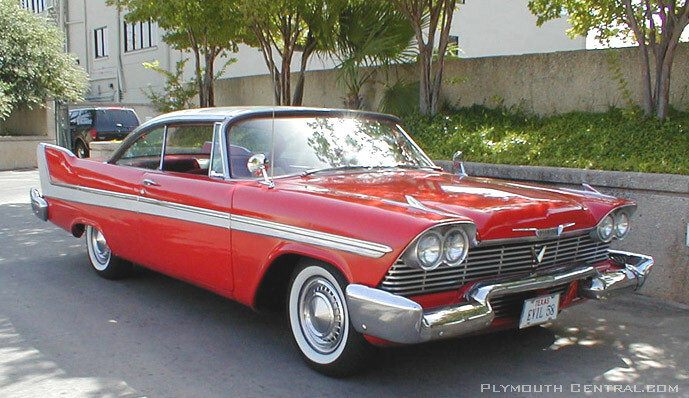 Christine is a 1957 red Plymouth Fury, from the first generation of Furies that came out in the mid 1950s. It had a 5.7L V8 and came in sedan, convertible and eventually station wagon designs. Allpar.com has a ton of great information on this famous vehicle.